Looking for a last minute gift for you art loving child? I have a great product to share with you! Kwik Stix! 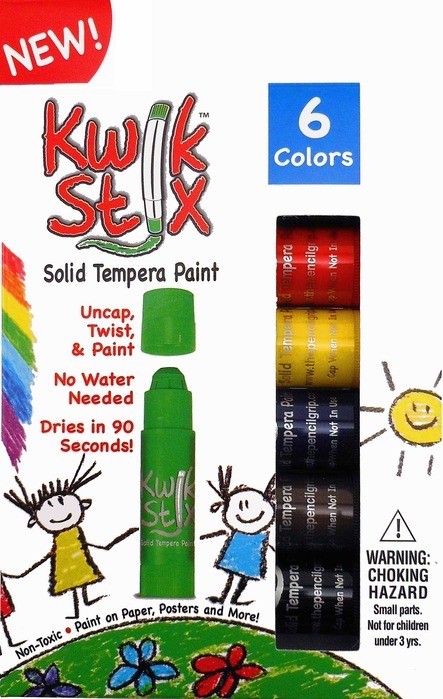 These are solid paint sticks (think glue stick but with paint) that dry fast. Visit ThePencilGrip.com for additional information! 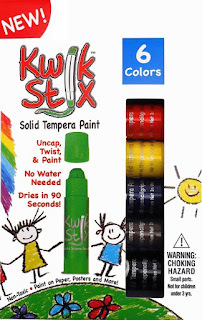 We had a lot of fun using these paint sticks - especially my five year old who loves doing arts and crafts. In fact I personally loved having a new medium to play with while we do our art time. For our review I bought some ceramic ornaments at the craft store. The paints were very easy to apply on them and they did in fact dry super fast. You don't use a brush with these - you just use them like a glue stick so you can't do tight details but they were great for what I had in mind. ARupLife.com received product, press or compensation to facilitate this review. This post may contain affiliate links. We only give our honest opinion of products. This post is in accordance with the FTC 10 CFR, Part 255 concerning the use, endorsements or testimonials in advertising.